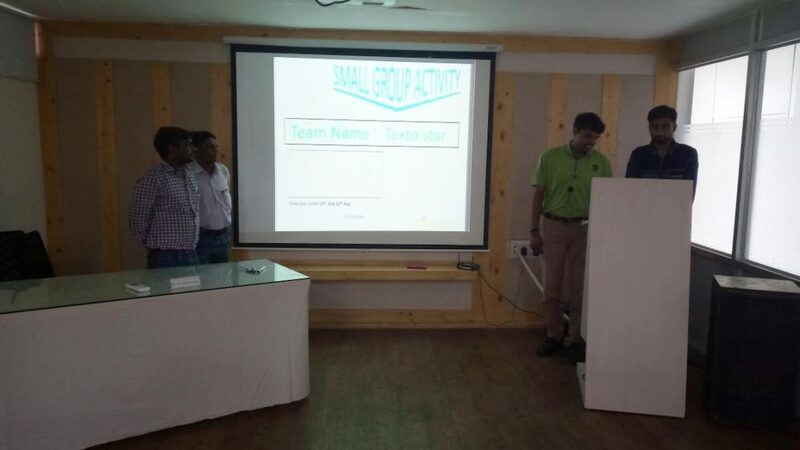 Small Group Activities (SGA) is now being widely recognized as an effective means for achieving continuous energy efficiency and effective energy management at plant level. SGA is a problem solving tool that provides the capacity to engineers at operational level to identify, assess, and implement appropriate solutions within their area of operation to achieve energy efficiency, higher productivity, zero defects, zero breakdown and zero waste. Because of the holistic approach of SGA in supporting ground level energy efficiency improvements on a continuous basis, KEP, which is a joint initiative of BEE & IIP, is supporting industry in organizing and implementing SGA at plant level. The support for SGA is being provided by KEP as a value added service under the SPARC model. To build the capacity of the plant level operators to implement energy efficiency actions. To contribute to the improvement of productivity, profitability and development of the organization. 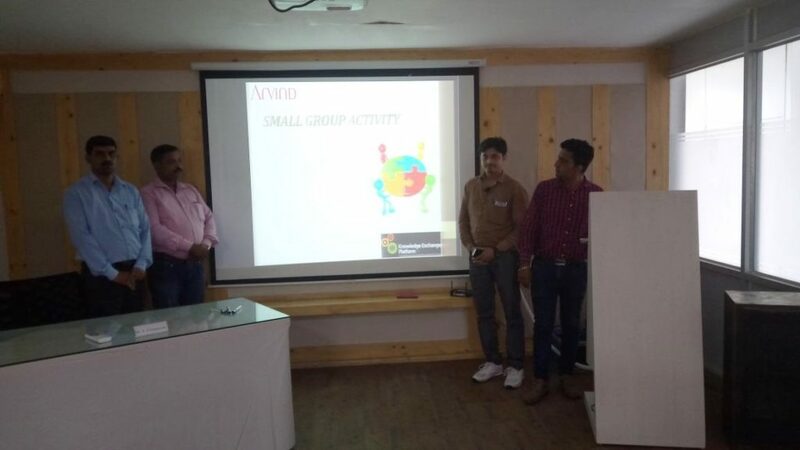 A brief outline of the Small Group Activity for Arvind Limited, Santej, was presented by Shri K K Chakarvarti, Expert Consultant. 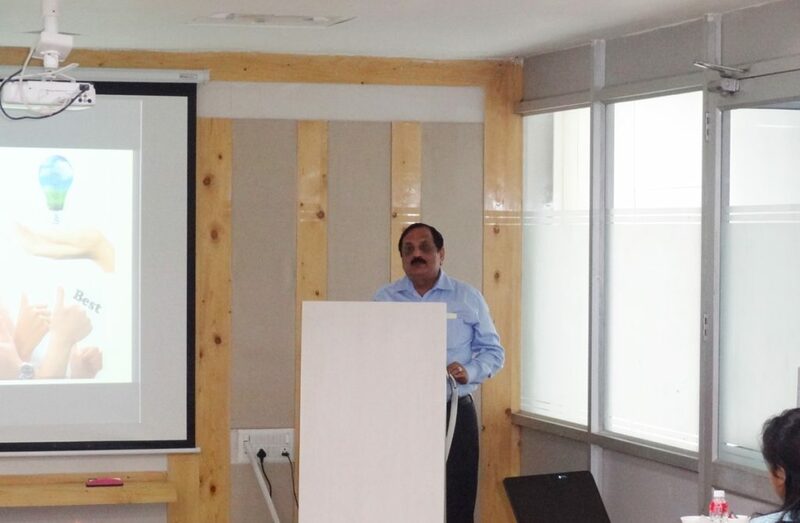 Shri Chakarvarti provided a brief overview on SGA activities and its objectives along with an overview on electrical and thermal saving possibilities at the plant level. He mentioned that while SGA has tremendous potential in helping a plant realize its productivity and efficiency targets, the onus of its success was with the employees at the operational level. He emphasized that the SGA needs to work as a team and identify innovative approaches through change in practice, technology, approaches to enhance the efficiency of the plant in their area of operation, reduce energy use and minimize wastage. He clarified that in doing SGA, the burden of employees doesn’t increase but infact helps them in improving their productivity, boosting their knowledge and confidence, team building and communication. Each group comprised of 4-5engineers. The engineers working in various departments’ viz. mechanical, electrical, instrumentation and process side were part of these groups. These Groups were given the additional input of identifying the energy saving areas in the process, electrical and thermal areas. Prioritization the option based on the cost benefit analysis and suitability to the overall plant operation. Assess the overall investment and energy saving potential of the option chosen by the SGA for implementation and making a case for investment by the management. Once all groups had identified their projects for energy efficiency, they all re-convened and presented their projects. 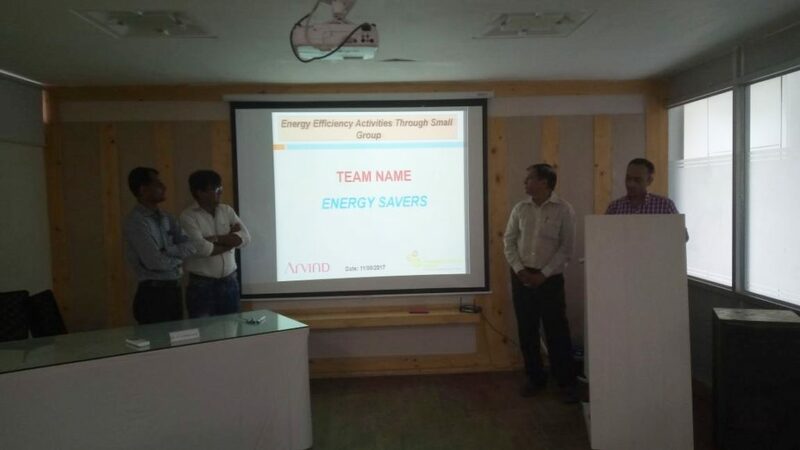 In these presentations, the groups pledged their commitment on energy efficiency in their operation before their peers and committed to certain energy saving targets based on the projects identified by them. This session was attended by plant top management, including Shri Harvinder Rathee, Head-Engineering, Arvind Limited and various Departmental Heads. Shri Chakarvarti informed the plant management that SGA has resulted in great enthusiasm among the group members and to find out the solutions and steps to achieve energy efficiency development. In total, 227 kW energy saving target was planned by these 4 Groups. In his concluding remarks, Shri Harvinder Rathee, Head-Engineering, Arvind Limited, thanked KEP faculty members for sharing the knowledge and the participants for their proactive participation in these two events. He mentioned that such activities will provide self‐directed and independent learning and opportunities to develop communication skills and interpersonal relations. Shri K K Chakarvarti thanked the top management in supporting this initiative and hoped that SGA groups will regularly brain storm and progress will be reviewed by the management on bi-weekly basis. The SGA’s will now prepare a detailed action plan for implementing the projects identified by their groups, the progress of which will be reviewed by the Management of Arvind Limited and KEP at the end of 2 months. After this mid-term assessment, the final assessment will be carried out by the plant at the end of the implementation period to evaluate the relative performance of each group in terms of achieving their objects and energy saving targets proposed by them. To encourage the team members, Arvind Limited may also institute a reward system to recognize the best achievers. The workshop was concluded with a feedback session where the participants were requested to provide their inputs/suggestion for improving and enhancing the effectiveness of such small group activities organized at plant level. 70 % respondents mentioned that this program enhanced their critical thinking, oral communication, leadership skills, team and self- management along with an increase in understanding of diverse perspective while working as a team. 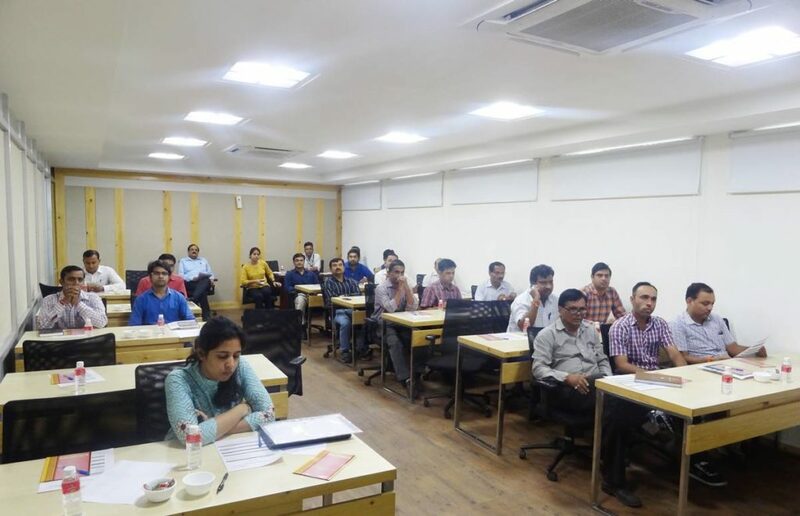 65% respondents felt that this training program helped in learn about one or more specific ideas that they will be able to implement in the area of energy efficiency and new approaches to energy management. The SGAs can go along with improving the technical and operational efficiency of the plant which in the long run can will not just help the plant meet its’ regulatory environment and standards but also increase the productivity and profitability of the organization.